JBL’s Armchair Coverage of Joe Con 2016 continues! Friday typically isn’t a “big reveal” day at the annual Joe Con and this year was no exception. Hasbro’s big panel doesn’t occur until 11:00am MST on Saturday and the G.I. Joe Collector’s Club Roundtable event isn’t until 4:00pm MST as well. However that doesn’t mean that there wasn’t anything major to see today. 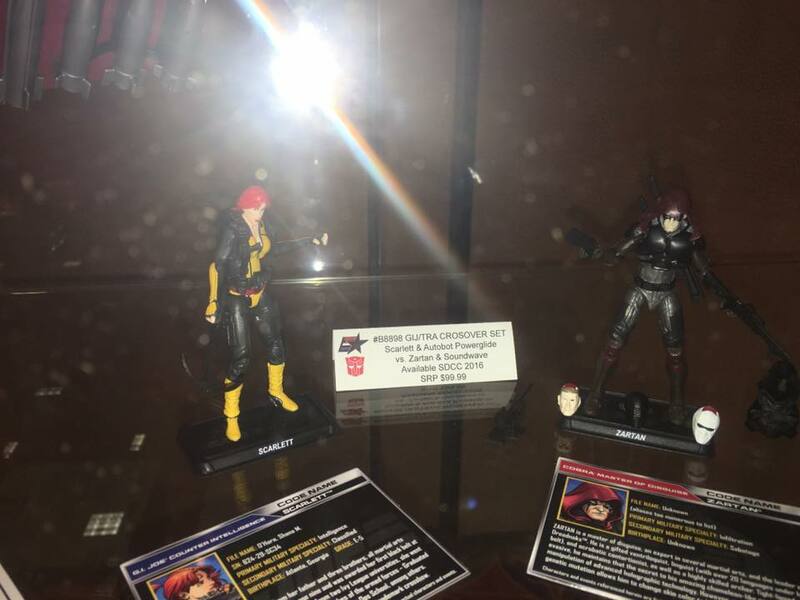 The good folks from Hasbro put a few pieces in the display case today from this year’s forthcoming SDCC exclusive G.I. Joe vs. Transformers set! 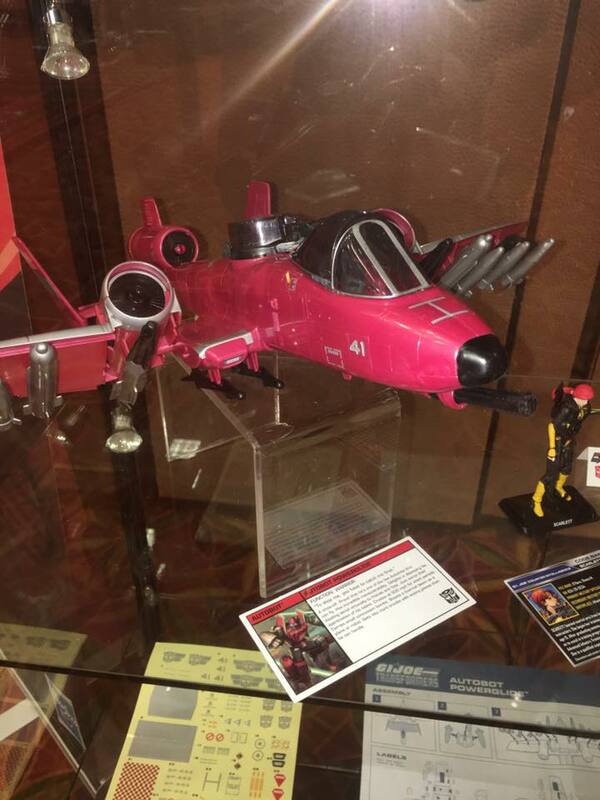 It’s the first time that fans got an in person look at the upcoming releases of Powerglide as a Cobra Rattler and Soundwave as a Cobra HISS tank. It was also the first opportunity for Joe fans to see convention exclusive Scarlett and Zartan figures. I’ll admit– the items do look a bit better in these images than from the first batch of leaked images from ACToys.net. Still, for $99 the set seems like it’s missing something especially after the 2013 set included a Skystriker, a VAMP, and three figures plus the exclusive Ravage figure. There are some additional pictures posted over at HISSTank.com as well. 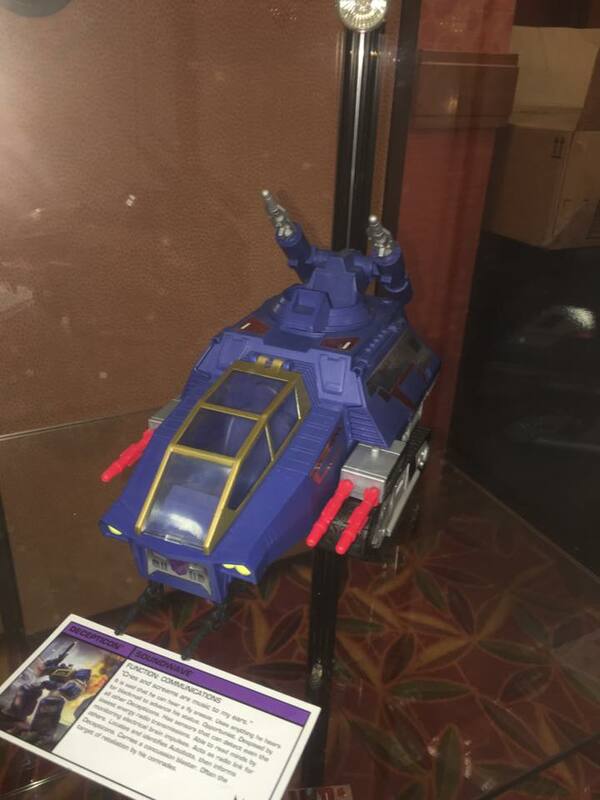 At this point I think it’s safe to say that part of Hasbro’s reveals for the Toys R Us exclusive line tomorrow will include a Cobra Rattler, a plane that hasn’t been released since the Target exclusive 25th Anniversary release. 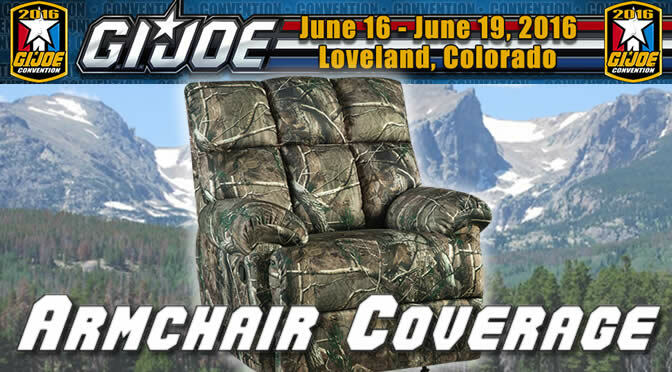 Stay tuned to JBL for more coverage of Joe Con 2016 in Loveland, CO! This entry was posted in Collector's Club, Conventions and tagged 1:18 scale, Cobra Rattler, Conventions, Exclusive, G.I. Joe vs. Transformers, HISS tank, Joe Con 2016, Powerglide, SDCC, Soundwave, Toys by Fred Meyer. Bookmark the permalink.